Many restaurants claim to be both South and North Indian experts but we have listed the ones that seem to be more North Indian. The Top 17 North Indian Wedding Caterers in Dallas list starts off with Bombay Chopstix. They are known for North Indian and Indo-Chinese catering. Fill out the form on this page and we will send you the contact information for everyone on this list. Also if you are still looking for a venue check out our blog on the Top 22 Indian Wedding Venues in DFW. 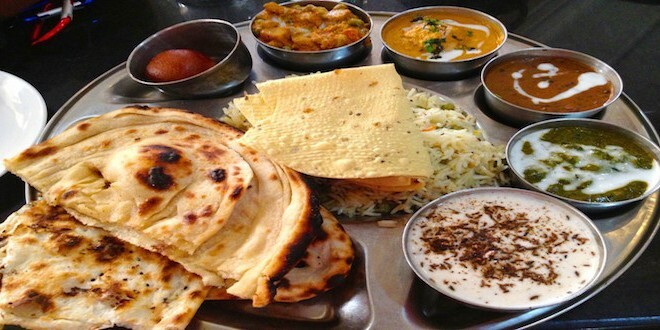 Great for vegetarians and they do also are known Jain food options. One of the few restaurants that are based in Garland. One of the best restaurants on the Top 17 North Indian Wedding Caterers in Dallas list. They are not cheap, but they are good. We do 250 weddings per year and see a lot of the same vendors often. Maharaja is one of them. Friendly staff and easy to work with. Ask for Priya to be there. Another one of the better restaurants on the Top 17 North Indian Wedding Caterers in Dallas list. They aren't cheap but the food is good. Fill out the form on this page and we will send you the contact information for everyone on this list. No restaurant name, no restaurant, no yelp review but still busy every weekend. He has recently became the king of catering in the gujarati wedding world. His food is fresh and they usually cook on site. Fill out the form if you want to get his contact information. Locations in Plano and Irving. They are also planning on opening a ice cream store soon. Most people don't even know that they cater. The real secret about them is they also have an extensive non-vegatarian catering options. The most popular caterer on the Top 17 North Indian Wedding Caterers in Dallas list. We see them the most often and the venues love them too. They have locations in Plano and Irving. Chaat is really good. If you are still looking for a planner check out our blog on the Top 10 Indian Wedding Planners in Dallas. Since the list is alphabetical they ended up on the bottom of the Top 17 North Indian Wedding Caterers in Dallas list, but they have done weddings with us this year and the clients liked their work. Fill out the form on this page and we will send you the contact information for everyone on this list. A wedding is the happiest moment in your life and you should choose Indian wedding vendors in Dallas that you love. Over our 24 years of bringing joy to thousands of couples, the DJ Riz Entertainment team has performed with some of the above mentioned vendors. The idea behind helping our couples with Top 17 North Indian Wedding Caterers in Dallas list is so you can start your research and see what other couples are doing. If you would like to talk about which vendors you should select or want to talk to us about music and lighting for your wedding contact us here.